Stop fraud, make instant risk decisions and provide a frictionless client experience. When it comes to mobile transactions financial institutions are in search for solutions that enable its customers to transact safely, quickly and with minimum friction. Legacy authentication methods, such as user ID and password, are simply no longer effective — they are simply unreliable. Relying on out-of-band or two-factor authentication creates a cumbersome, alienating digital experience. Moreover, the redundant use of step-up authentication to stop fraud, impedes on the experience for legitimate bank clients. Paygilant solves this challenge with a combination of big data analytics, smart rules and machine learning that validates mobile payments instantly and transparently. Our solution lets you know when step-up authentication is required based on a complete assessment of the actual risk posed. This intelligent, coordinated approach provides superior fraud protection while dramatically reducing customer friction. Drive growth by securing mobile transactions. Paygilant secures mobile transactions using its revolutionary SmartRisk methodology that prevents erroneous mobile traffic from infiltrating your client’s accounts. Secures customers throughout the users journey. Paygilant ensures that your customers are confidently secured throughout the users journey from app download to continuous transaction. Significantly reduce chargebacks and fraud losses. Minimize the charageback process, which is a lengthy, costly and annoying to all parties. Drive growth by securing mobile transactions. Paygilant secures mobile transactions from malware, trojans and bots, and prevents erroneous mobile traffic from infiltrating your client’s accounts. Build a trusted and loyal customer base . By accurately authenticating existing and new bank clients you can build a new (mobile only) customer base. Account Takeover has become a common attack vector that is impacting financial institutions. Fraudsters gain unauthorized account access using credentials obtained through compromised devices, malicious personas, shared passwords, and other tricks. Paygilant advanced Smart Risk Methodology combines behavioral, biometric, device and transaction data to stitch together a continious indication whether the account has been infiltrated. New account fraud using breached financial identity theft has become widespread. Paygilant’s solution evaluates if a new user is behaving as a legitimate user, fraudster a machine. 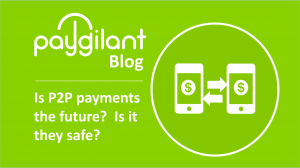 By flagging high-risk accounts in real time Paygilant prevents fraud before they happen. Bank clients conducting mobile transactions can often be the victims of transaction fraud. Fraudsters use transaction based attacks to bypass simple device intelligence solutions by launching attacks from the user’s recognized device and authenticated session. Paygilant delivers strong device identification, behavior biometric analysis, and transaction review, while evaluating the overall security posture of the mobile device.